The price of coal fired energy went up astronomically. Massive and expensive equipment are needed to clean the air from the fly ash and coal dust, forcing the price of energy to rise unreasonably. Sometimes we could afford to have electricity, but most of the time we couldn't afford it. Finally, a solution! Wind energy! Wind turbines look like alien windmills on steroids. They are replacing expensive coal-fired energy, making electricity more affordable and the air cleaner. I have invented the single house wind turbine. For everyone that purchases and installs one, their electricity will be free for life. Thank you TJ for our prompt photo this week! 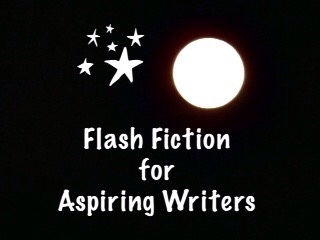 This is my submission for the flash fiction challenge, Flash Fiction for Aspiring Writers. We are given a photo prompt and approximately 75-175 words with which we create our stories. This challenge is open to all who would like to participate. For more information, click HERE. Click the froggy button below to read the stories created by amazing writers. Electricity for every house due to windpower. That would be awesome PJ. Think of the great effect on the environment! Great write! Cool! Free electricity! That can be so beneficial at my work where electricity’s $100/month, at my home, not so much. Electricity’s only like $30 a month. Wow! That is wonderful your electricity is so low! My monthly bill is $130 a month. (Of course, that is also water, sewer, sanitation). Yeah, it’s great that everything is so efficient in the house. $130 a month plus additional utilities? That’s not bad. It probably isn’t bad but it hurts to pay it each month! LOL!! Such a wonderful idea! I would love to have the luxury of keeping the house as cool as I’d like during the “dog days” of summer (as some say) in our sunny state of Florida! Free works for me! 🙂 Great post, Joy! LOL! That would be wonderful, wouldn’t it?! Yes, free works for me too! haha! Thank you so much! That would be wonderful to have free electricity for the rest of our lives. LOL! More and more people are getting something like this. There are wind farms everywhere. The land owner at work has a wind turbine even (though since it’s a commercial property the planning permission was probably easier!). Wind energy is getting more popular here too. But, I think we have a long way to go before everyone or even a big part of people are on wind energy. LOL! Wouldn’t that be wonderful?! I think it is quite possible in some parts of the world, even today. Great take. alien windmills on steroids?? Priceless words by Priceless Joy. haha loved this post, wind energy can greatly help us become much nature friendly.. Yes, that would be a win-win! Thank you so much! Wind energy is the best! It would be cool if every house had a windmill to generate its own electricity. Though it wouldn’t work out in places with no wind!! That’s true. You would have to have wind to have wind energy. I didn’t know there were places that had no wind. I personally think green is a great color and we should see more green on this wonderful earth! Always creative and interesting PJ! Thank you so much! I agree. The world would be better off with them! I’d definitely plop a windmill on my house for free electricity. Excellent story! LOL! Me too! Thank you so much. I wish people could be so generous! If we placed them in every state capital and Washington there would be extra power for the rest of the world too. Nice story my dear! 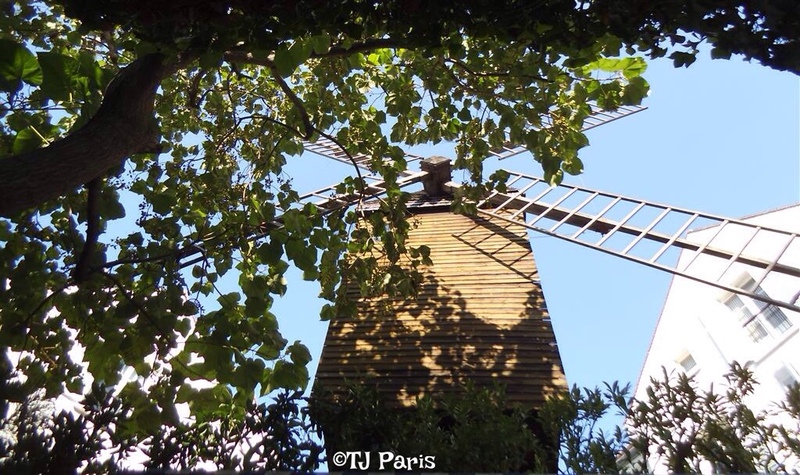 Great idea… hopefully backyard windmills won’t whoosh as loudly as the industrial wind turbines do! I have never heard one but I imagine they do make a lot of noise! I’ve been to a windmill farm; they are noisy indeed! Now that you mention it, I imagine that they are very noisy! That sounds like a great idea! A means of producing electricity that’s both good for the environment and cheap – sign me up! LOL! Yes, me too!! Haha! Of course, some of the things have been said already by others. But, yes indeed, wouldn’t it be wonderful for the environment. Thought provoking words in this story, PJ. Well done on the prompt write. Thank you so much, Isadora! I knew what you meant. Auto-correction! LOL! Hahaha! I know! Sometimes he’s a real pest. So is the automatic capitalization (which I have mine turned off but it doesn’t listen to me). I don’t know how to correct in in my Reader. Do you? Thanks! I will go try that! Thank you! I hope all is well with you! I cut off the tip of my finger this morning cutting up vegetables. I went to the ER and they numbed my finger which is why I can type right now. When this numbing wears off I am pretty sure I won’t be able to type for a few days. LOL! LOL! I am going to lay off the ice cream! hahaha! Imagine if you had that big windmill on your house! It would rotate and you would have to time your entrance into your house, HA! Great idea PJ that would be amazing…such an imagination you have. That would be funny! I think the windmills for homes would be much smaller. LOL! My finger is pretty sore but I can type real slow. Maybe they would be placed on top and rotate like a helicopter…hee hee. I bet it is, I’m glad you can type though!! Is it throbbing at all? It is starting to throb, since I have been working around the kitchen and typing. Thanks, Deb! It has stopped throbbing but if I starts again, I will do that! It hasn’t started throbbing again but my 8 day bandage came off. LOL!! It looks like the tip of my finger (left side) is falling off. (Big chunk). OOOOHHH, do you think it will heal ok, or do you need to go back to the dr.? If I have to go back it won’t be to the ER because they didn’t do anything (in my opinion). It’s too late now to get stitches. I would probably have to have them just finish taking the chunk off and let it heal that way. So far the bandaids I put on it is holding it so I will wait and see how that does. Maybe it will grow back together, I hope so!! Boy oh boy..what a shame that the ER wasted your time!! Yes, they sure did waste my time! I have 2 hummingbirds hanging around my feeders today, a male and a female. But the little kids next door haven’t been out in their yard playing. Ohhh, that’s good news…maybe the kids will only be out on the weekend, which will give the birds time to acclimate. That would be nice! But it has been real windy today and why they probably haven’t been outside. How old are they approx.? I would say about 3 and 4 years old. Maybe they were at preschool, that would be good. That would mean they would be busy with that during the week. I hope so! LOL! It isn’t suppose to be windy tomorrow so we will see. I put one of my own bandages on it. Is it bleeding at all? Yes, it was bleeding earlier. It isn’t bleeding now. You open up shop to sell. There shall be rush of orders. Hahaha! There would be a very long line of customers! LOL! Why wouldn’t you try, just put up a Board and collect some advance payment. After which you can return saying something like a fiction. So, we will get to know fictions do work. LOL! No, I wouldn’t collect advance payments for something that is only fictional.